#MyStarbucksTumbler Good morning, Malaysia! Did you know? You can save the environment and get RM2 discount on your beverage purchase when you bring your Starbucks tumbler to our store. 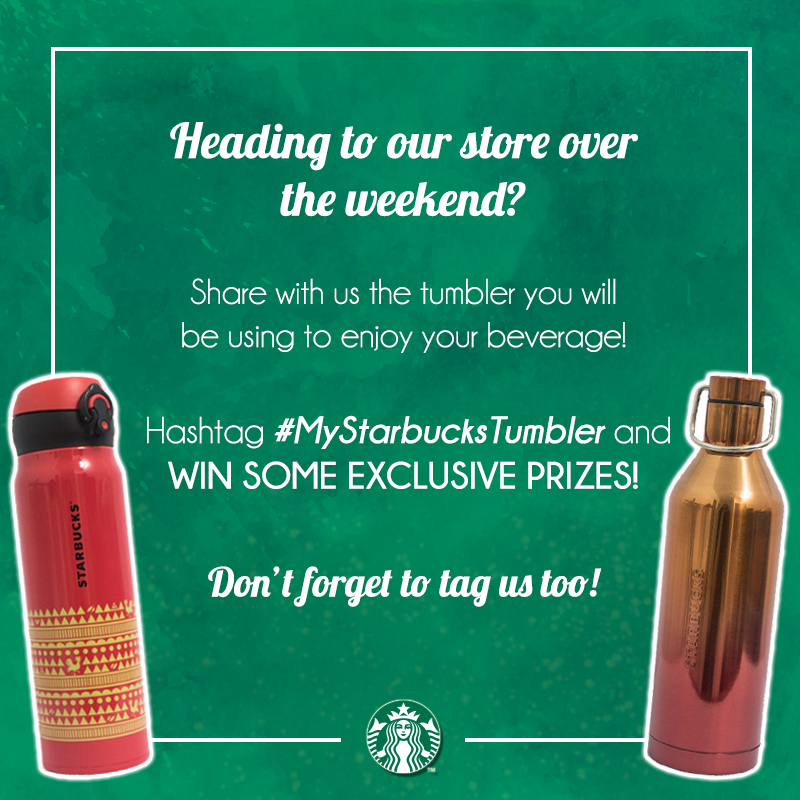 Share with us the tumbler that you will be using over the weekend to enjoy your favorite beverages with the hashtag #MyStarbucksTumbler and you can win some exclusive prizes! All submissions must have Starbucks Malaysia's Facebook page or instagram (@mystarbucks) tagged. Participants are required to LIKE the Starbucks Malaysia Facebook and follow (@mystarbucks) in order to qualify for the contest. Please ensure that your account is public for us to view your submissions. Starbucks Malaysia decisions are final and conclusive and are not disputable. 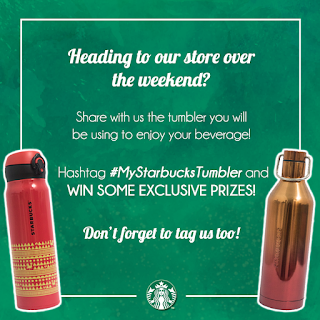 Participants are advised to fully read the Terms & Conditions applied and upon submitting for the #MyStarbucksTumbler contest, participants are deemed to have accepted and agreed to all such Terms & Conditions. Starbucks Malaysia reserves the right to amend the Terms & Conditions and Rules & Regulations without prior notice.